Ruby Mae, Dele Alli’s Girlfriend in 2017: Who is the Rising Soccer Star Dating? 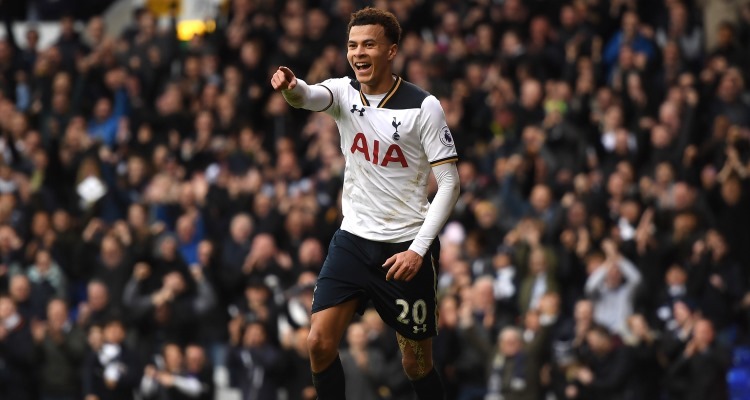 Bamidele “Dele” Alli, is making headlines as the rising star of the Tottenham Hotspurs. The 20-year-old midfielder was recently caught playing basketball with fellow teammate, Eric Dier. But now everyone is asking: Who is Dele Alli dating? If you didn’t already know, Dele Alli’s girlfriend in 2017 is Ruby Mae. So, if you’re interested in a few facts about Dele Alli’s girlfriend, then have a look at our Ruby Mae wiki! Ruby Mae is already a full-fledged model at the age of 22 and though she isn’t as famous as Kendall Jenner just yet, she’s well on her way. The 5′ 9″ beauty has even modeled for campaigns such as Dolce & Gabbana and continues to book photoshoots as her popularity increases. Ruby Mae’s net worth may not be much now, but with her connection to Dele, it’s only a matter of time before she gets recognized. She is currently being represented by Boss Models Management, in the U.K.
Ruby Mae has a soft spot for dogs—so much that she has her very own! She has black miniature poodle named Dougie and he’s all over her Instagram account. Whether he’s in the car with her or taking a bath, Dougie is front and center, often referred to as “my boy” by Ruby Mae. We can’t say we blame her, after all, who doesn’t love dogs? Last summer, Ruby Mae posed in a series of colorful patterned lingerie for the fashion brand, Pour Moi. From dark tones to softer colors, the young model wasn’t afraid to show off her toned figure and a bit of skin! If you’re looking for hot pics of Ruby Mae, then look no further than her very own Instagram account (rubymae3223), where she flaunts her figure and pictures of her dog, of course! Most of her shots are either of photoshoots, Dougie, or her time spent with her friends. According to The Sun, Dele isn’t close with his parents and been estranged from them for years. His parents, Denise and Kehinde divorced when he was three. His mother is English and his father is of Nigerian descent. Reportedly his parents haven’t seen him for two years and were surprised by the lack of contact. Dele’s father moved with him to Lagos (where Dele is a prince of a Nigerian tribe) and attended an international school before moving to Houston, Texas. Dele later returned to England to pursue his soccer career but he has reportedly been distant from his parents ever since he signed his first contract at 16. Dele’s father is a millionaire entrepreneur in his own right and denies needing his son for financial support. Ruby Mae continues to support her boyfriend and win or lose, she’s right by his side.